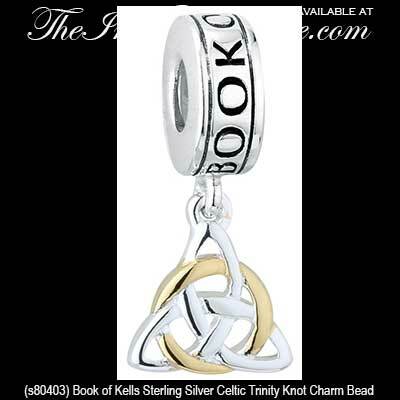 Sterling silver Celtic charm from the Book of Kells features a dangle Celtic knot bead with gold plated accenting. 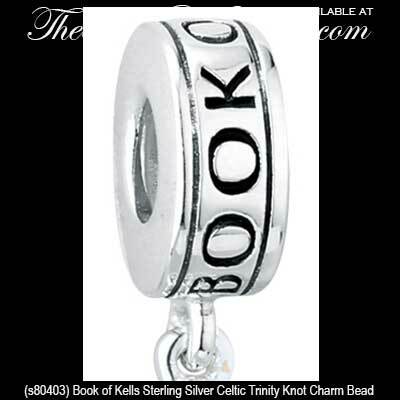 This sterling silver, Book of Kells, dangle Celtic charm bead features a 1/4” wide bead with the engraved words BOOK OF KELLS and a 3/8" wide double sided Trinity knot charm with gold plated accents. 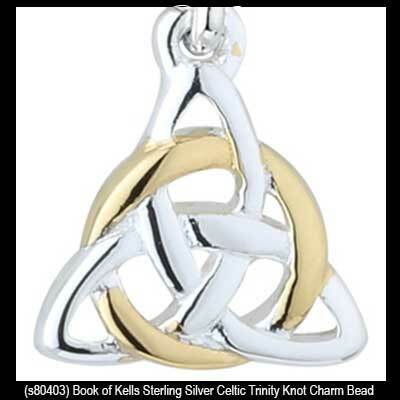 This Trinity charm fits all competing bead bracelets and is gift boxed with the Celtic knot history. Crafted under license by Solvar Jewelry in Dublin, Ireland, the Brand Name and Logo featured on this product are registered trademarks of Trinity College, Dublin.